New trailer of Hellboy 2, featuring some of my amazing insect cycles. 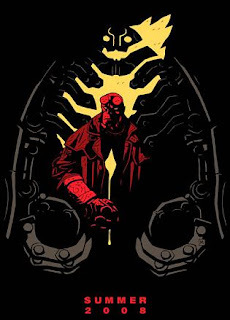 Currently working on Hellboy 2: The Golden Army at Double Negative. 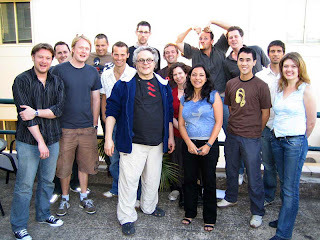 Happy Feet Animation Crew on the day of the production wrap with Director George Miller (centre). From left to right - Chris Cartagena, Simon Pickard, Andrew Silke, Paul Perott, Jim Dodd, David Williams, Tim Gibson, Victoria Livingstone, Amita Sahgal, Pato Ducaud, Jon Turburfield, Christian So, Myself and Christel Pougeoise. Here's a bit of Happy Feet. I was responsible for Mumble's performance at the start of this sequence, from his Hispanic entrance until he says "It is me ... sorta".